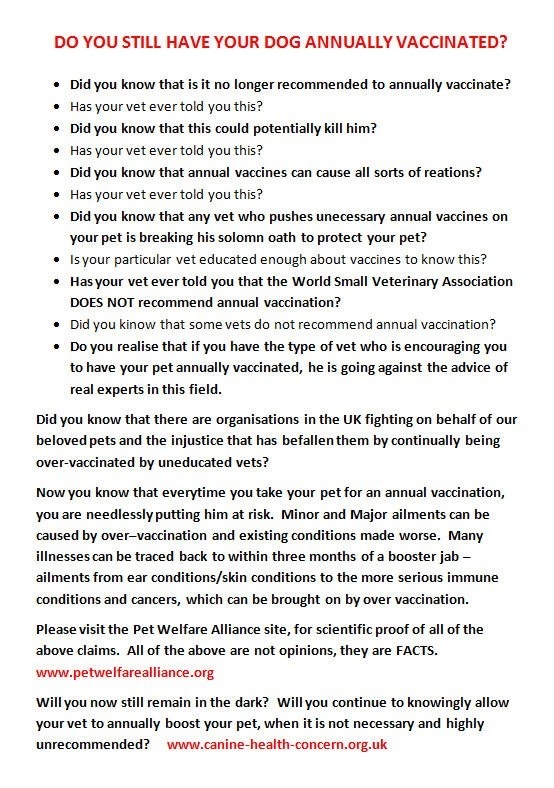 Are You Over-Vaccinating Your Dog? We over-vaccinate our animals. Rather than getting inoculation at each annual check-up, ask your vet to perform a titer test which will test immunities levels in the blood. Then you can get the vaccinations for only those immunity levels that are low. Be an informed dog guardian.